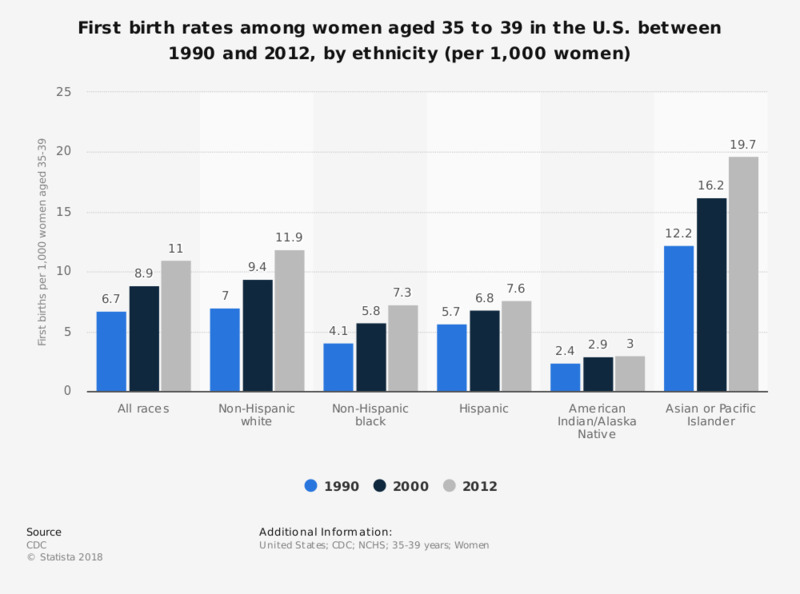 This statistic displays the first birth rates for women aged 35 to 39 in the United States between 1990 and 2012, by ethnicity. In 2000, non-Hispanic white women between 35 and 39 years of age had a first birth rate of 9.4 per 1,000 women. The average age of women who have their first births has been rising over the past years. Having children at later ages will impact the size, composition, and growth of the country's population.